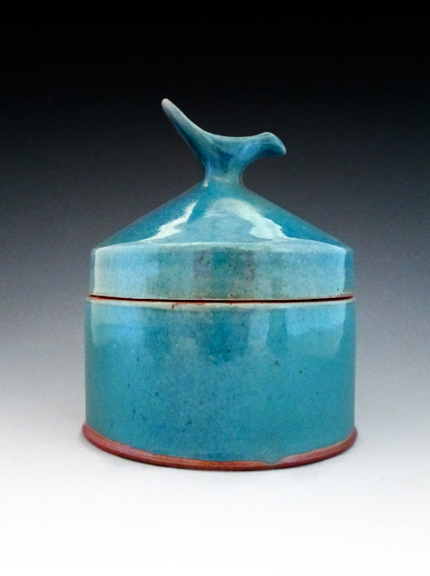 I love the chal­lenge of mak­ing a good, use­ful pot that some­one will enjoy using every day. When I sit at my wheel each day I try to focus on how this piece will be used… how the rim will feel against the lip, if the han­dle will be com­fort­able to the hand and if this pot’s form will hold someone’s inter­est years from now. I’m also excit­ed by the sur­faces I’ve been able to achieve with salt fir­ing and how that has allowed me to explore the rela­tion­ship between sur­face and form. 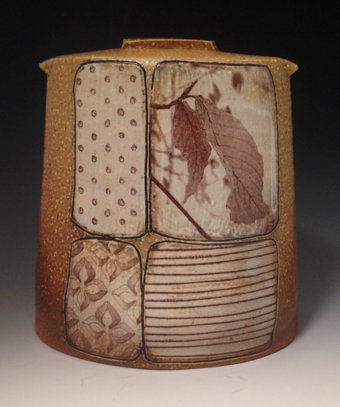 For the last cou­ple of years I’ve been using image trans­fer tech­niques to add my draw­ings to my pots, bring­ing togeth­er my back­ground in print­mak­ing and design with my pot­tery. I love this new direc­tion my work is tak­ing and all its pos­si­bil­i­ties. Eve­lyn will be a Fea­tured Artist at HGA in April, PARALLEL PLAY, open­ing recep­tion, April 28th, 6–9 pm. 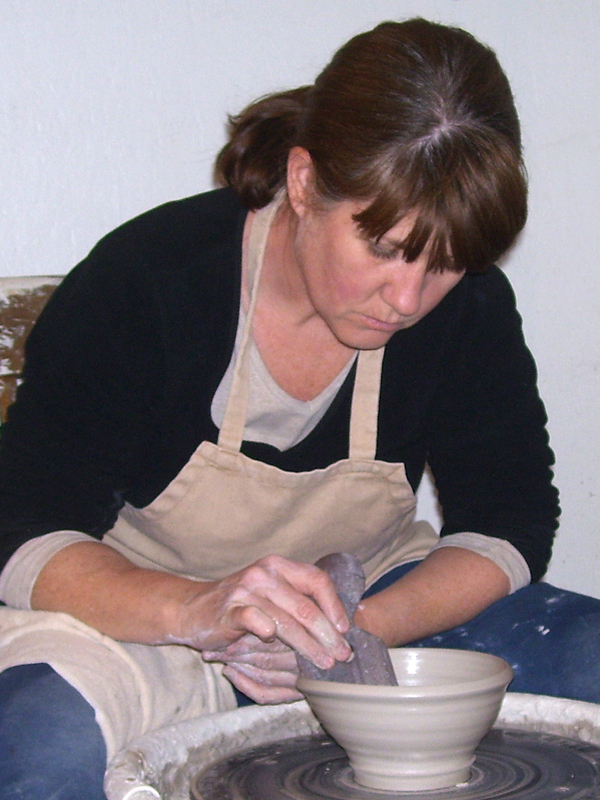 Mem­ber of Car­oli­na Design­er Crafts­men and Pied­mont Crafts­men guilds. 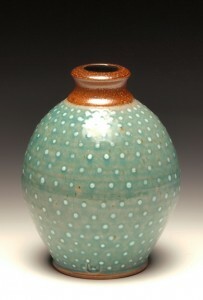 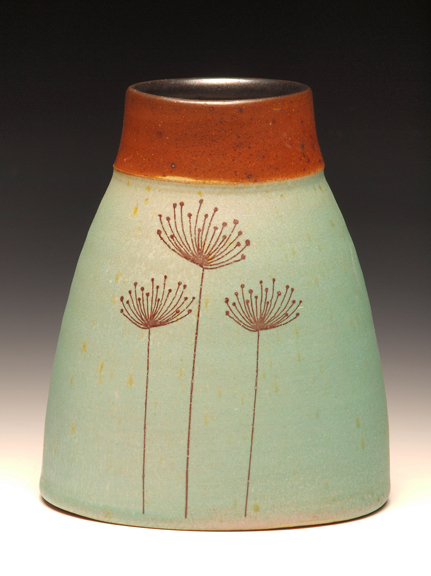 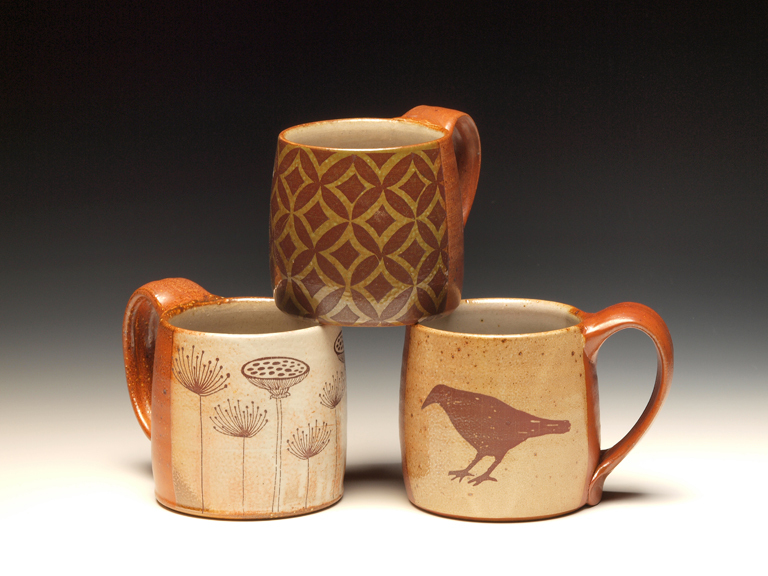 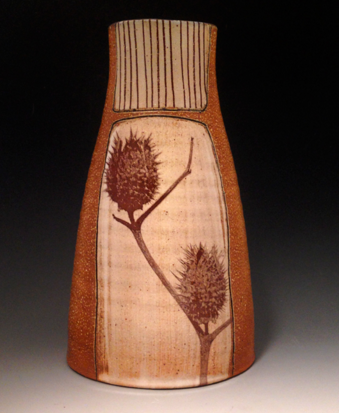 Received the 2012 Jan Gregg Award at the 43rd Annu­al Fine Design­er Crafts Show.